This is a scalable context timeline. It contains events related to the event November 8, 2010: Anti-Abortion Leader Convicted of Stalking Abortion Doctors. You can narrow or broaden the context of this timeline by adjusting the zoom level. The lower the scale, the more relevant the items on average will be, while the higher the scale, the less relevant the items, on average, will be. James Kopp. [Source: Women's eNews (.org)]Dr. Barnett Slepian, an obstetrician in Buffalo, New York, who performs abortions, is shot to death in his kitchen, by a bullet that enters through the window of his Amherst, New York, home. His wife and one of his four children witness his murder. Anti-abortion advocate James Kopp shoots Slepian with a high-powered rifle. Kopp uses the pseudonym “Clive Swenson,” and is well known under that name in a Jersey City, New Jersey, Catholic congregation. Militant anti-abortionists call him “Atomic Dog.” It will take the FBI over two years to find Kopp, who will be arrested in France (see March 29, 2001). 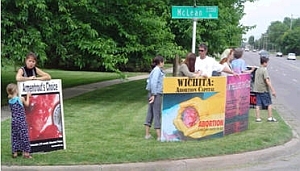 Kopp, who apparently was drawn to anti-abortion protests in the 1970s after his girlfriend had an abortion, has been active in anti-abortion protests for decades and joined Randall Terry’s Operation Rescue in 1986. It is also believed he joined the violent anti-abortion organization “Army of God” in 1988 (see 1982), as well as the “Lambs of God,” a Catholic anti-abortion group whose leader has characterized the anti-abortion movement as a “war between God and Satan.” Kopp is well known for designing intricate locks that anti-abortion protesters use to lock the doors to women’s health care clinics. 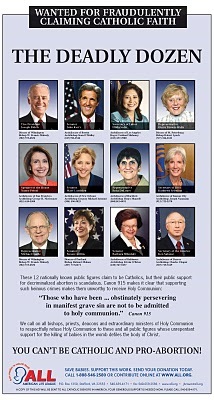 Slepian has been listed as a “wanted” abortion provider on the anti-abortion Web site “Nuremberg Files,” which The Guardian will describe as “a virtual hit list of doctors who carry out abortions” (see January 1997). Within hours of his murder, Slepian’s name is reposted on the site, this time with a line drawn through it. [Washington Post, 1998; Womens eNews, 3/30/2001; Guardian, 4/1/2001; National Abortion Federation, 2010] By early November, Kopp will be named as a suspect in the murder, though he will not be formally charged until May 1999. He will be placed on the FBI’s “Most Wanted” list in June 1999. 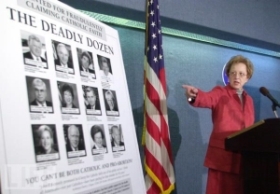 [National Abortion Federation, 2010] In 2002, Kopp will confess to the murder (see November 21, 2002). He will be found guilty a year later (see March 17-18, 2003). A 2002 photo of Dr. George Tiller. 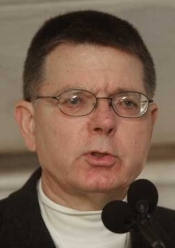 [Source: Abortion Essay (.com)]Dr. George Tiller, one of the handful of doctors in the USA willing to perform late-term abortions, is shot to death while attending services at the Reformation Lutheran Church in Wichita, Kansas. The 67-year-old doctor is slain in front of several witnesses by a single assailant in the foyer of his church while serving as an usher at about 10 a.m. Law enforcement officials say they believe the murder is “the act of an isolated individual,” but add that they are also looking into the suspected assailant’s “history, his family, his associates.” [CNN News, 5/31/2009; New York Times, 5/31/2009] Tiller’s murderer is eventually identified as anti-abortion activist Scott Roeder (see May 31, 2009).